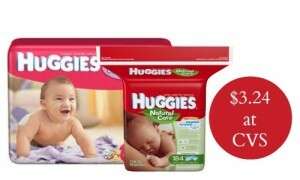 Home > CVS > Paper Towels & Toilet Paper – $2.33 a Pack! 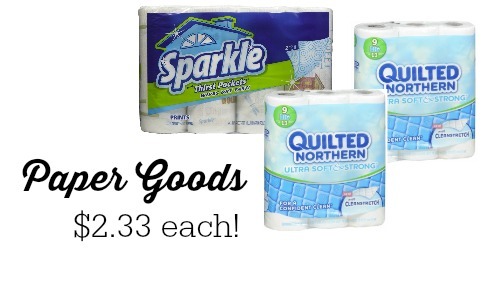 Paper Towels & Toilet Paper – $2.33 a Pack! 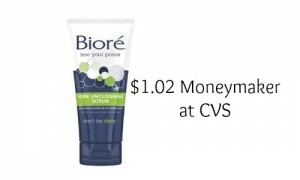 I wanted to highlight a deal in the CVS ad this week that is something we ALL need. No matter what foods are eating and diets you are on, we all use toilet paper and most of us use a paper towel or two. This week you can get an awesome price on both items thanks to a sale, an ExtraCare Buck deal and coupons! That makes it 25¢ to 28¢ a roll, which is a great stock up price for paper goods!